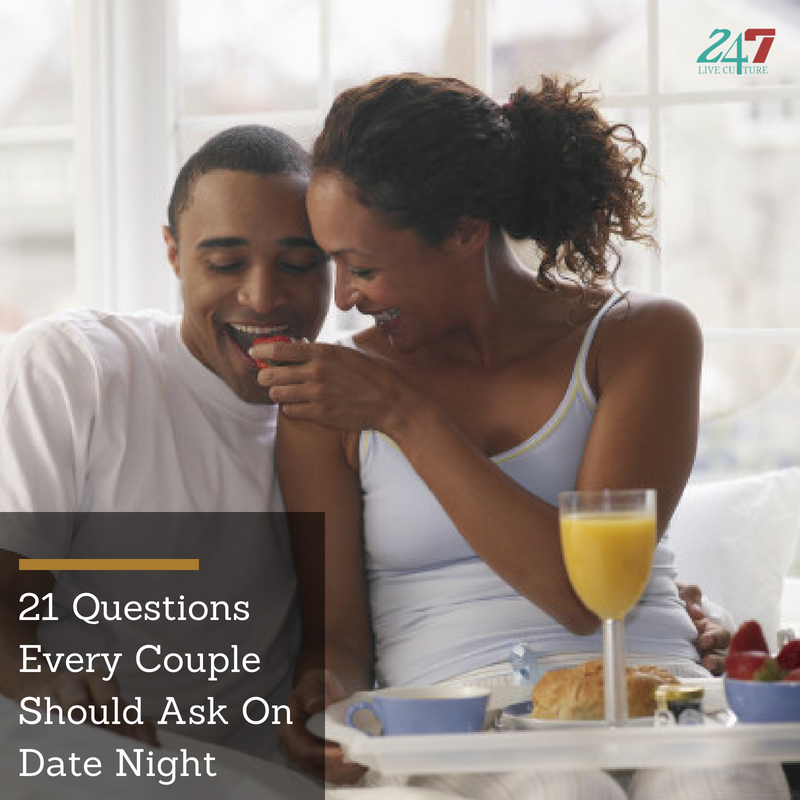 Getting to know your partner is essential to having a great relationship, and communication should be a top priority. Sometimes just sitting down to have a simple conversation about life can be a great date idea. 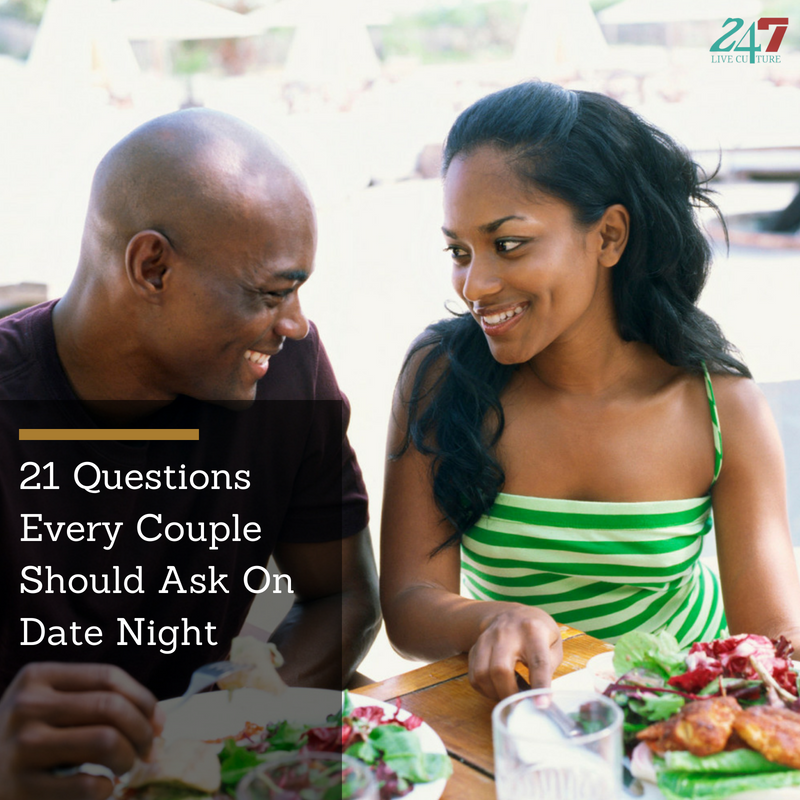 Whether you’re going out for a romantic dinner with your partner, or you’re staying in for some netflix and chill, here are 21 questions every couple should ask on date night! 1. What is your ultimate goal in life? 4. What’s one thing I don’t know about you? 5. What scares you or makes you nervous? 6. What is your most proud accomplishment? 7. Where do you see yourself in 5 years? 10 years? >> RELATED: Can You Have A Casual Hookup Just As Friends? 1. What are 2 facts about me? 2. What do you like about me the most? 3. What’s 1 thing that you think I can do better? 5. What is my favorite song/music artist/movie? 6. What is my dream job? 7. What are my biggest turn-ons? Turn-offs? 1. What do you enjoy about our relationship the most? 2. What is your favorite memory of us? 3. What is the biggest weakness of our relationship? 4. Where would you prefer to settle down as a couple? 5. What is the greatest strength of our relationship? 6. Where do you see us in 5 years? 7. What should we do together that we haven’t done already?